From time to time, your hair needs a little extra love! 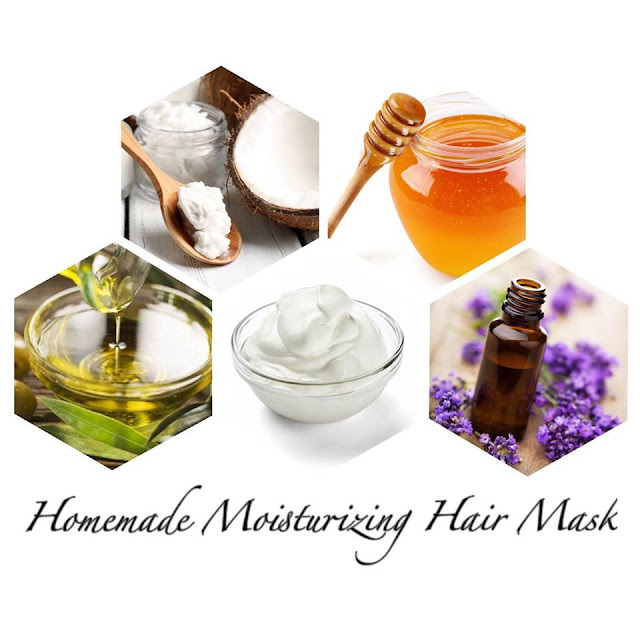 Today I am going to share with you the recipe of a moisturizing hair mask that condition, add softness and keep your hair shiny and beautiful! Honey is a natural antioxidant, which makes your scalp healthy and stimulates hair growth. Moreover, honey has high sugar content, which helps to retain moisture. Greek Yogurt, as far as your hair is concerned is its protein content. Protein is essential nutrient to the growth of your hair. When using Olive Oil on your hair, the oil coats each strand making it stronger and shinier. Olive oil also aids in decreasing dandruff. Lavender Essential Oil is excellent for preventing itching and dandruff. 4. Remove the cap, rinse with warm water and then shampoo then rinse again very well.